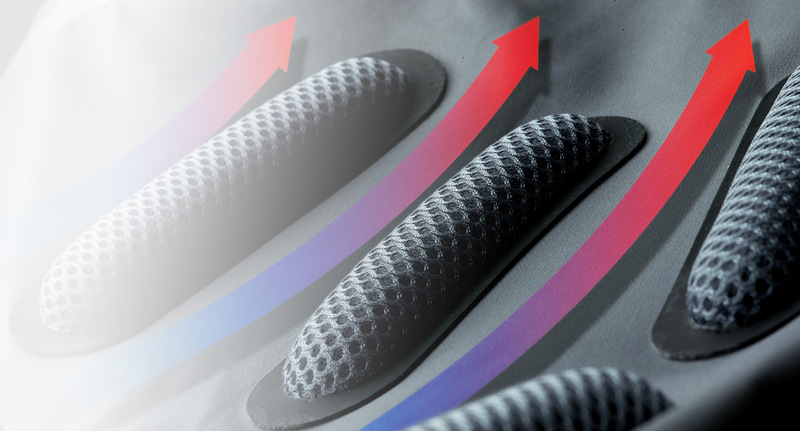 Optimised air circulation. A tailwind for your performance. At some point during vigorous exercise, the air between the body and traditional athletic apparel will be saturated with moisture. The athlete continues to sweat whilst the air humidy increases to a state that it condenses. Furthermore, the body is threatened by overheating. Tricots, jackets and pants get wet, stick to the body, barely function, and are uncomfortable. X-BIONIC® minimises that with its patented Spaceframe™ Technology – modern technology that makes possible optimal sports performance. The term „Spaceframe“ stems from the automobile industry. Here it stands for a lightweight but still functional carriage. It saves energy and offers optimal function with little weight. A person isn’t a car; still he needs a high-performance exterior that is both lightweight and optimally functional. 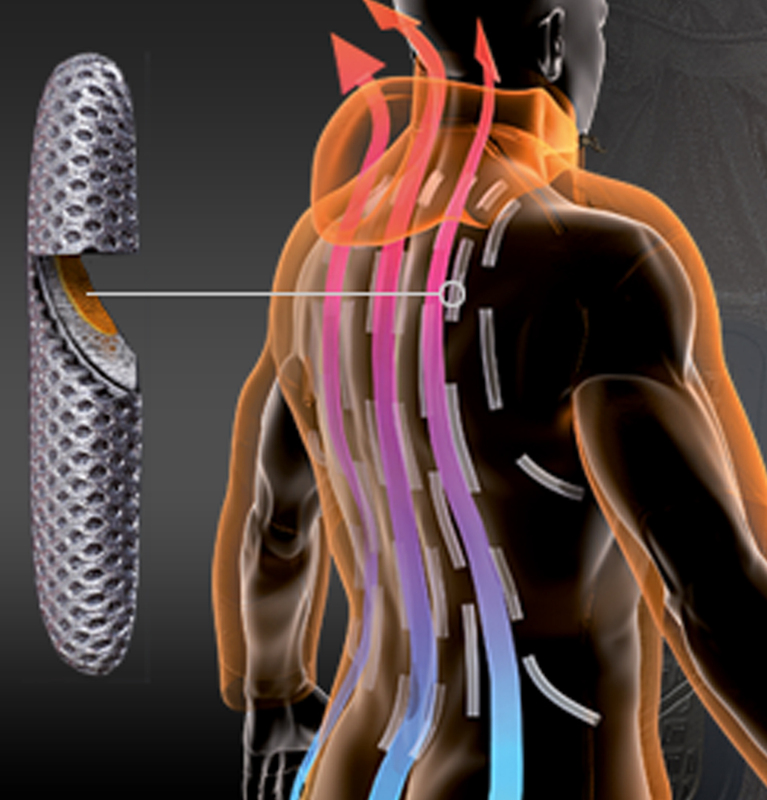 Spaceframe™ offers exactly that whilst still considering the special challenges of the human body. Spacers, which we call SpaceFrames™, provide for open space between your back and the inside of the jacket. The construction achieves a definitive AirFlow (air circulation) much like a chimney where air rises due to warmth - in this case, body warmth. That causes moist, warm air to leave the jacket effectively, while fresh air can then stream in and, in turn, be saturated with additional moisture. In this way, the evaporation process is optimised and an dry climate is maintained in the sweat-intensive back area.